Artists on Santa Fe Gallery is the original gallery and artists studios in the Arts District on Santa Fe. The gallery exhibits functional and sculptural ceramics, abstract and plein air paintings, photography, printmaking and jewelry. 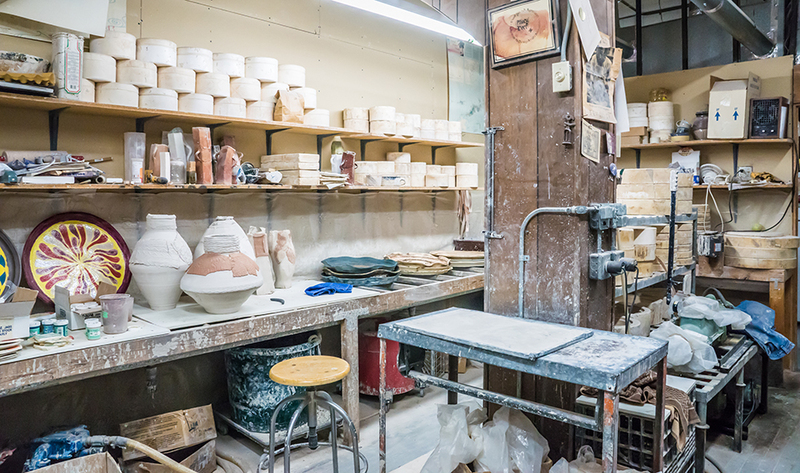 We also encourage visitors to tour our 29 studios and kiln yard and discover the exciting and creative environment. Hours of operation are 10-5 Monday through Friday, 10-4 on Saturdays. Join us on First and Third Friday evenings for the Art Walks.